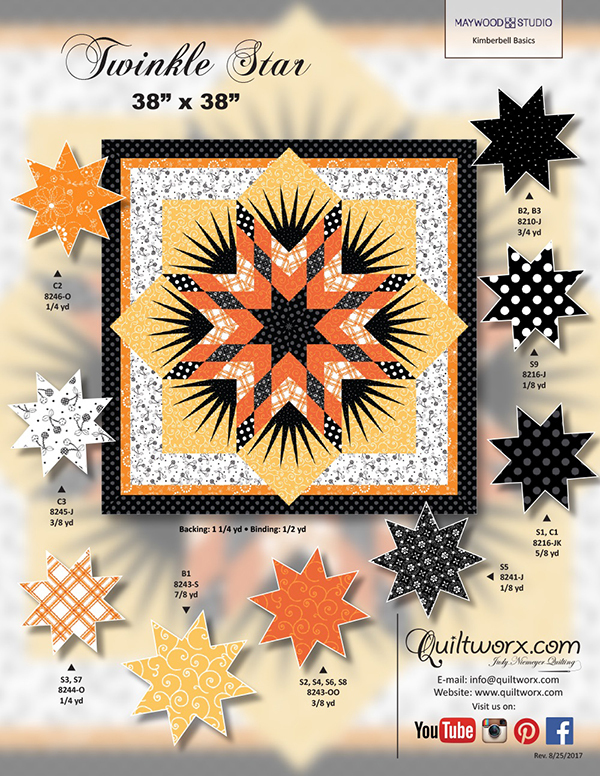 The Twinkle Star was designed by Judy and Bradley Niemeyer for paper piecing. 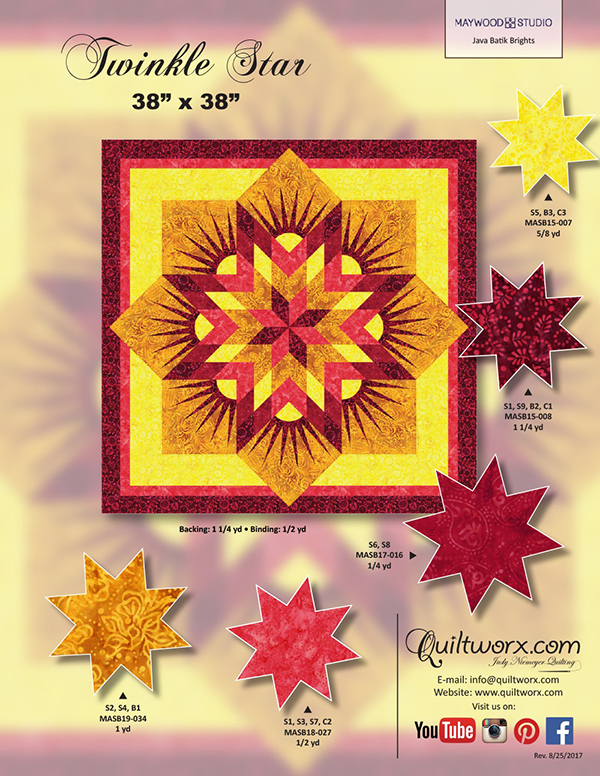 The pattern includes three distinct groups to create a 38” x 38” quilt. 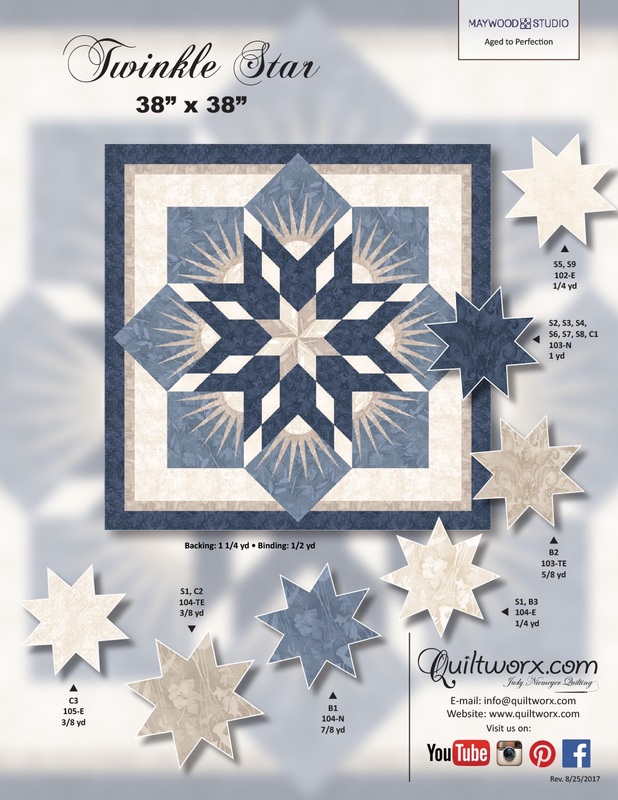 A lone star center makes up Group A, a series of 7-1/2” blocks nestled in each corner of the lone star makes Group B, and a border squares off the quilt as Group C. The pattern uses basic paper piecing techniques that can be applied to many of our lone star projects. 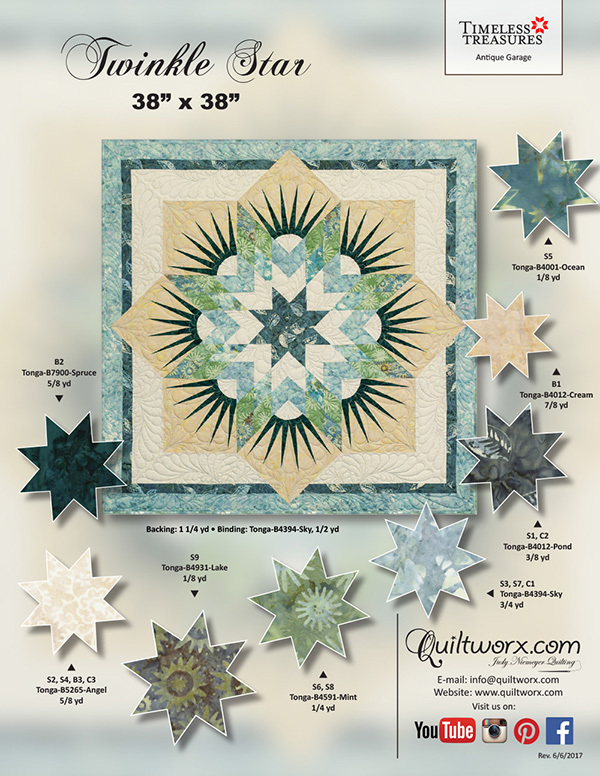 This is a great introductory pattern for learning how our lone star quilts are made in a small project that can be completed very quickly.